We would like to remind you that the graphics and our practical experience is limited to using Honda Silverwing 600 scooters without ABS systems and lambda probe as our donor vehicles. The models with ABS systems and lambda probes to monitor exhaust emissions have different wiring harnesses and additional sensors. You should keep this in mind when you read the wiring schematics. Converting such engines is most likely possible, but because we have not worked with engines from Honda Silverwing 600 scooters with ABS and lambda probes, we cannot comment any further or provide clear instructions. 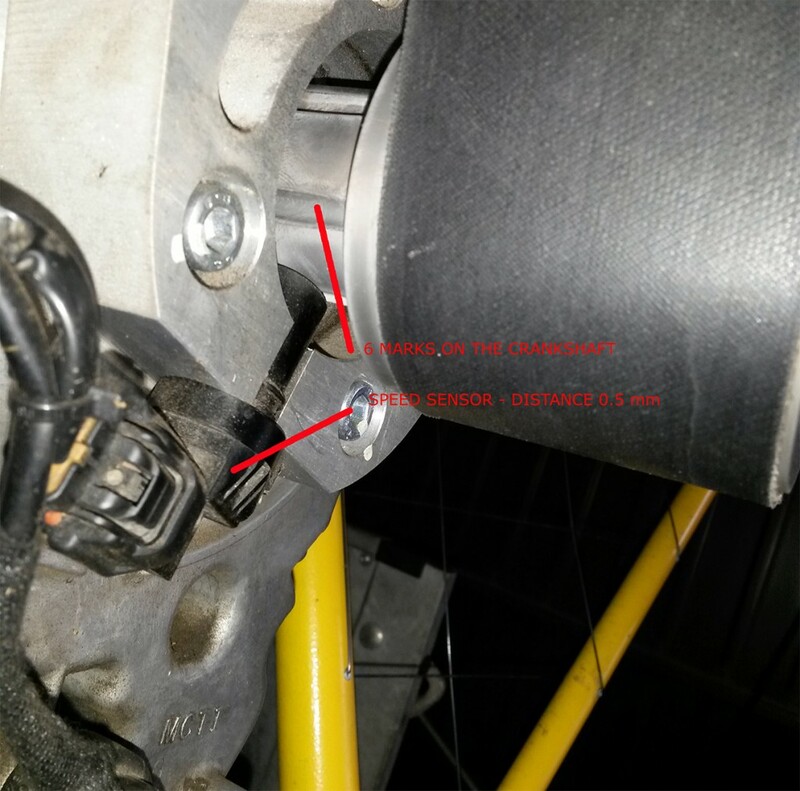 Here http://ppgtrike.com/download/ we have posted schematics of both the original electrical wiring and its converted version so you can compare them for yourselves.We have posted also the Honda Silverwing 600 Repair Manual. 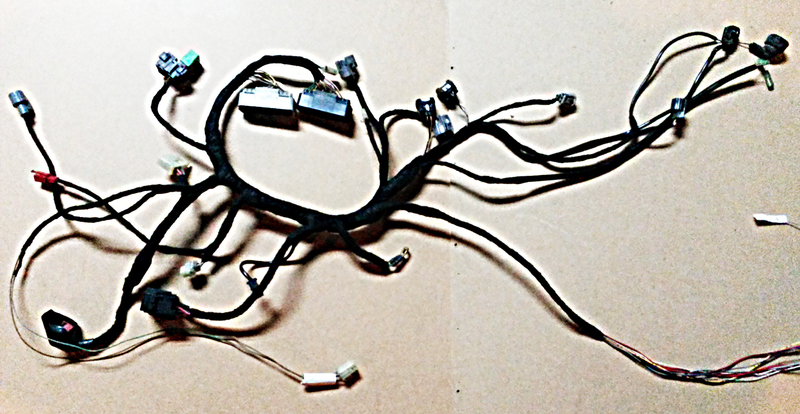 This is already converted wiring . Simulation of the Signal of the Speed Sensor Integrated into the Scooter’s Rear Reduction Unit. 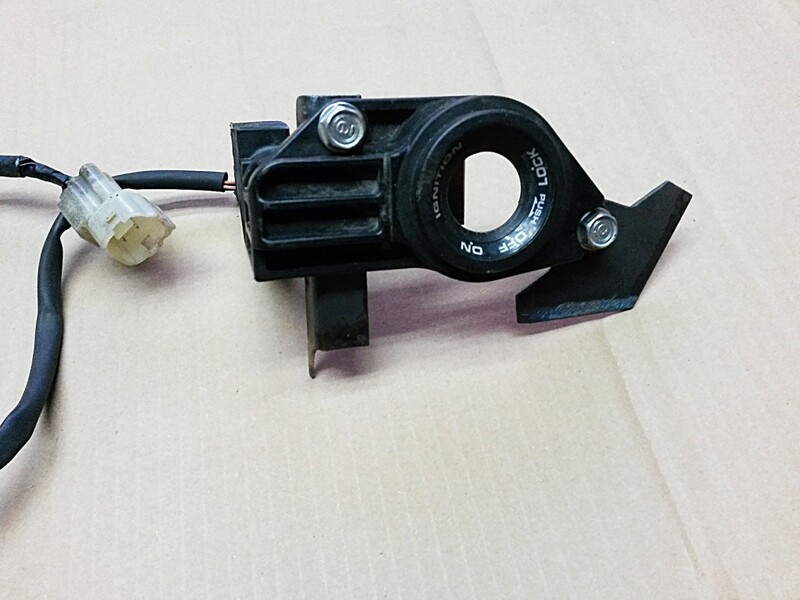 The fuel injection system will not operate correctly without this sensor. We believe that the signals from the sensor are used in the algorithms determining the fuel-to-air ratio especially during the transition from high to low PRM. Without this signal, the CPU of the FSJ600 registers an error and during the transition from high to low RPM ejects unburnt fuel mixtures into the exhaust system causing backfire. To simulate the signal, six grooves into the crankshaft pulley needed, so the sensor can get a reading from them. We determined the number of these grooves through experimentation. Our goal was for the signal sent to the CPU of the Honda Silverwing 600 engine to be as close as possible to the one generated under normal use of the scooter. We have conducted many experiments, so you can trust our experience. Signals from the Original Dashboard for the HISS Immobilizer and the FI Computer. These signals can be visualized easily with the use of LEDs, as shown in the converted wiring diagram. The signal from the HISS lets you know if the immobilizer has authorized the start, and the FI signal is self-diagnostics of the fuel injection system. You can find detailed information on how to read the FI signal in the Repair Manual for the Honda Silverwing 600 engine (Link). Signal from the Radiator Fan Control Unit. This signal is visualized with an LED. It lets you know that the engine’s temperature is close to 90 degrees and simulates the control relay coil so that the computer does not register errors. In this application using an electric fan is pointless because you can position the radiator in the way of the airflow created by the propeller which will do the same job just as well. The FSJ600 engine’s normal operating temperature is 70 – 80 degrees so if the LED lights up, you should pay attention. Of course, installing a proper coolant temperature gouge is a must. HISS immobilizer. The fact that there is an immobilizer unit on the engine is not a cause for concern. All that the Honda Silverwing 600’s HISS immobilizer unit does is unlock the computer at initial start-up. Once running, the engine does not stop even if you switch off the immobilizer’s antenna and take out the key. What you should know however is that the engine’s computer is coded to a particular key. You can duplicate these keys, but you will need an operational one to copy from. In light of the above, when you buy a scooter or just the engine, you should make sure that they are operational and equipped with a matching computer and key. It is best to buy an entire working Honda Silverwing 600 scooter, take the parts you will need for the engine conversion, and resell the remaining pieces. RPM at full throttle. When converting a FJS600 engine for paratrike , you must configure the reduction and the propeller in such manner so as to reach maximum speed of at least 7500 RPM. If you use high-pitch propeller and have maximum speed of less than 7500 RPM, the motor will not be able to reach its peak power output and the fuel injection system will try to compensate for it. It will shift the optimal angle of advance and will make the fuel-to-air mixture richer which in turn will cause the engine to vibrate. The effect is the same as trying to climb a steep hill in high gear by throttling up. We have experimented with heavier wooden propellers and maximum speeds of 6400 RPM enough to know that this creates excessive vibrations in the powertrain. For smooth and vibration free operation of your paratrike equipped with a converted Honda Silverwing 600 engine, you must have maximum speed of at least 7500 RPM. Axial play in the crankshaft. When you are shopping for an engine or entire scooter, you need to check the crankshaft for axial play. It is possible to encounter this issue because seized variator pulleys can cause excessive wear. According to the manufacturer, axial play should not exceed 0.3 mm. If you can and the opportunity exists, perform this check before you make the purchase. The Honda Silverwing 600 engine is reliable. There are examples with more than 200 000 kilometers on the clock. If you can find a scooter that has done less than 30 000 kilometers and has had regular oil changes, you will be getting a virtually new engine which will serve you for many, many flight hours. Exhaust System Types.The original muffler is very heavy (over 7 kg) and narrow which restricts the engine. Use the original manifold and install a lightweight muffler from a racing bike. Using the original manifold is recommended because the length and diameter of the pipes is calculated to do a resonance. Using shorter and wider tubes will not increase the power output of this computer-controlled engine. On the contrary, using shorter pipes may end up restricting the engine’s performance. 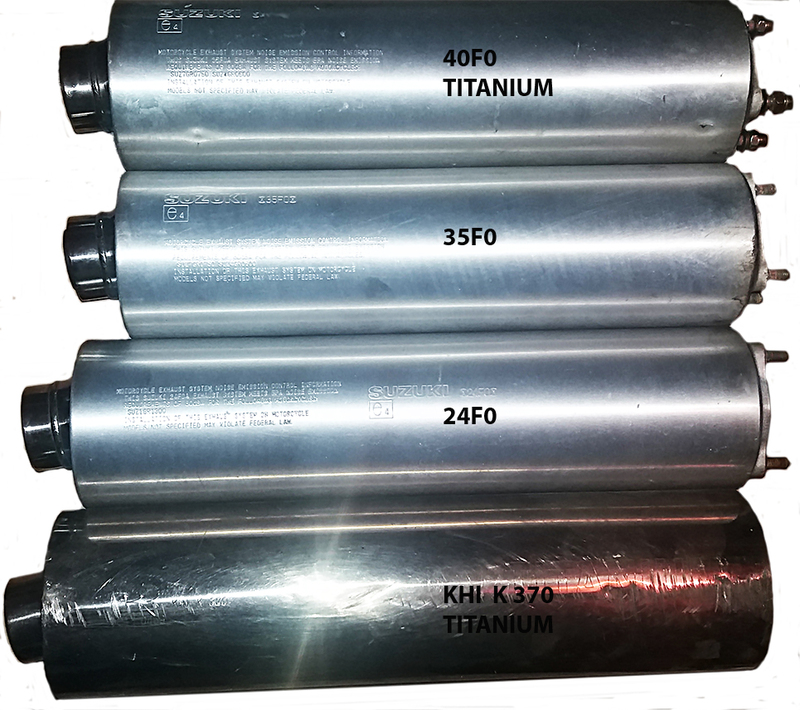 We have successfully tested and recommend mufflers without catalytic converter due to their lightweight construction. Suzuki 35F0 weight – 2750 gr. Suzuki 24F0 weight – 3050 gr. Kawasaki KHI K 370 TITANIUM weight – 2850 gr.